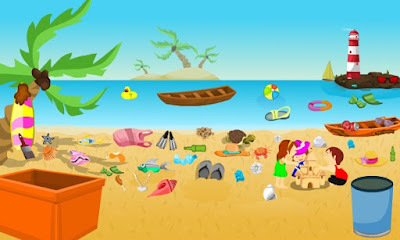 Pinky Marin Beach Cleaning is the new challenging kids cleaning game by ajazgames. Use your skills to collect waste object and put it in dustbin kept on the right side and put reusable material in other box which is present in left side, without losing the time and points. Have fun playing pinky marina beach cleaning.